This world-famous cultivar is one of the most famous strains in the world. While AK-47 is considered to be Sativa-dominant, it also has a significant presence of Indica, which gives it a kind of balance. AK-47 first grew in 1992, and later it underwent various deformations. Neurobiologists and geneticists of Neuro Seeds, thanks to years of experience of growing plants, have made improvements in this Sativa unique brand-new dominant variety, which provides stable and long lasting cerebral psychoactive effect, which helps to focus your attention and allows you to engage in creative and social activities, while being relaxed. AK-47 is the most awarded strain in the history of mankind! AK 47 grows well both indoors and outdoors. 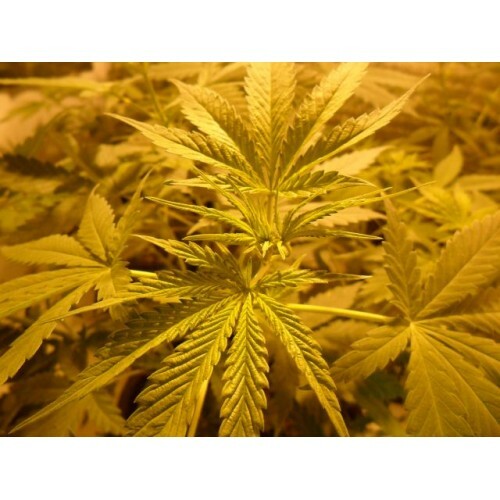 AK-47 is easy to grow, and medium height of plants makes it an excellent choice for small indoor structures. AK47 is produced by crossing such famous varieties as Colombian, Mexican, Thai and Afghani, combining them into a complex mixture of flavors and effects. While AK-47 fragrance is sour and earthy, its sweet floral notes are fully revealed in the taste. 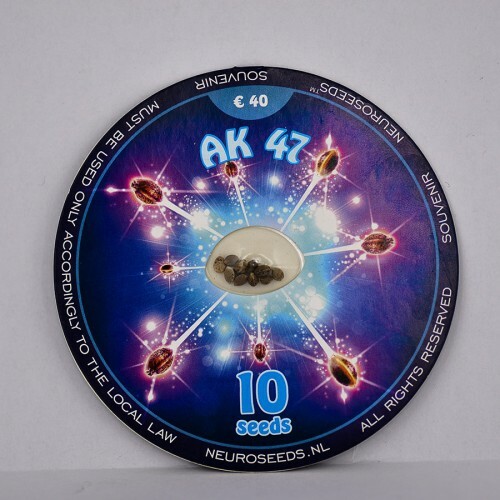 Using AK-47, you will feel creative impulse with hints of euphoria, which will cause a sense of happiness and complete well-being, while your body will be totally relaxed. Patients who use medical marijuana find this variety more than attractive. It helps to get rid of depression and insomnia, stimulates appetite in patients suffering from its loss, and relieves pain and stress. AK47 eliminates anxiety syndrome, treats arthritis, PMS, migraine headaches, as well as attention deficient hyperactivity disorder.